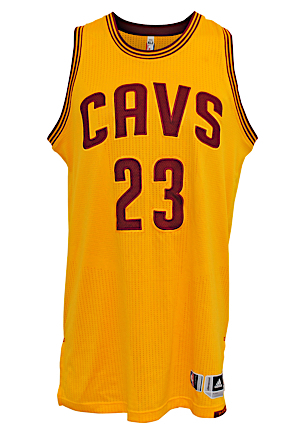 Three-time NBA Champion and future Hall of Famer LeBron James wore this jersey on March 26th, 2016 in a signature triple-double performance against the New York Knicks at Madison Square Garden. James registered 27 points, 11 rebounds and 10 assists in a 107-93 victory. On the front left tail is the Adidas manufacturer’s tag size “XL” with an attached flag tag reading “LENGTH +2”. Adjacent is a NBA Authentics tag serial number “CCA03242”. Below this is a burgundy strip tag reading “All for one. One for all in gold. On the left inseam is a flag tag with jersey materials and washing instructions and an additional Adidas flag tag. Across the front reads “CAVS”. 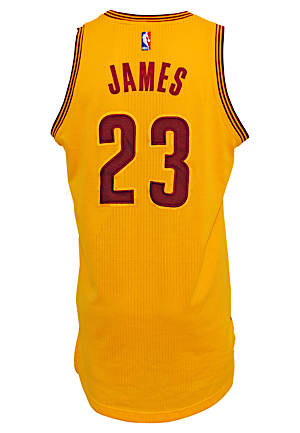 Adjacent below and on the back is the player number “23”. These are done in wine colored mesh on wine on gold tackle twill. 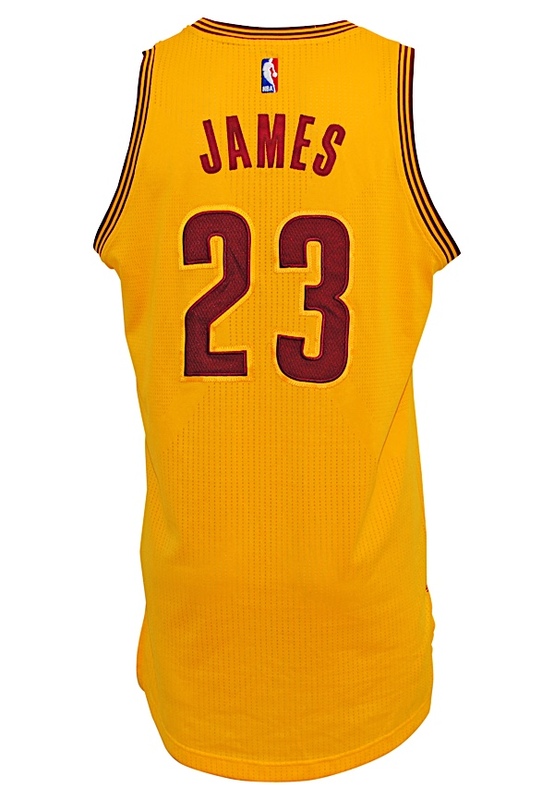 Across the back reads the player name “JAMES” in wine colored tackle twill. 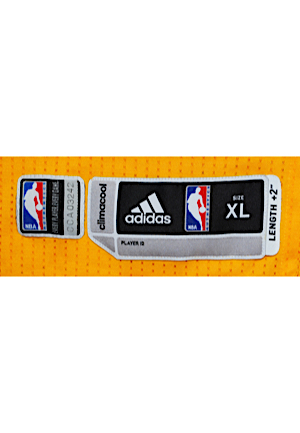 On the back below the collar is an official “NBA” logo embroidered. This jersey is properly tagged, was presented to us as game-used and in our opinion shows appropriate use. Accompanied by a LOA from Photo-Match.com confirming the match.